The Fukushima Daiichi accident shaped not only Japanese but also Chinese public opinion, and dramatically altered Beijing’s plans for the expansion of its own nuclear energy program. Seven years later, however, China may be returning to ambitious plans for its nuclear future. 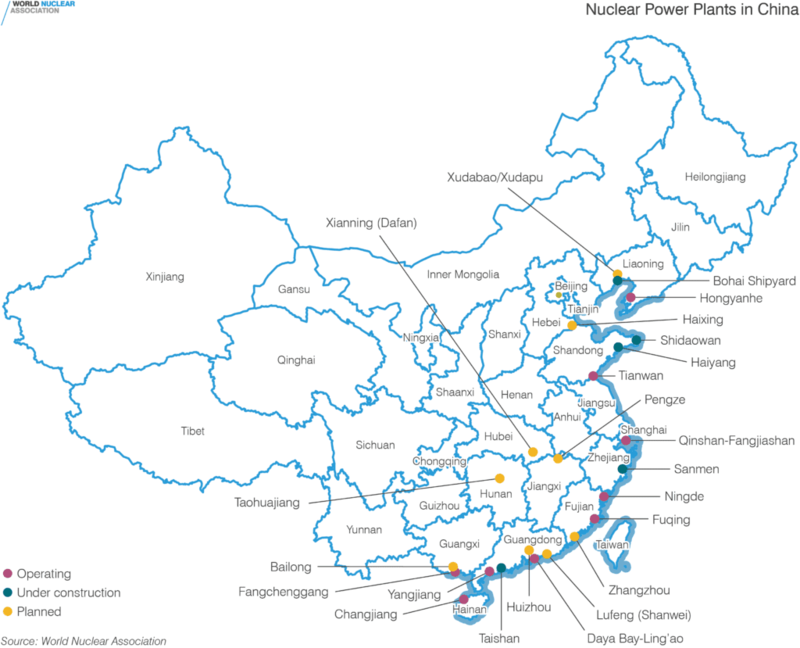 In 2010, China laid out its roadmap to the future of nuclear power generation. It was by any measure a depiction of astronomical growth. By 2030, Beijing planned to construct 100 new nuclear power plants. By 2050, it wanted to have more than 400. To put this kind of extreme growth into context, a year after the creation of the roadmap, in 2011, only 437 nuclear reactors operated in the entire world. This aspirational vision was brought crashing back down to earth by a Japanese earthquake, a tsunami, and a nuclear meltdown that collapsed public trust in the entire nuclear energy industry. The Fukushima Daiichi accident shaped not only Japanese but also Chinese public opinion, and dramatically altered Beijing’s plans for the expansion of its own nuclear energy program. Seven years later, however, China may be returning to ambitious plans for its nuclear future. This aspirational vision was brought crashing back down to earth by a Japanese earthquake, a tsunami, and a nuclear meltdown that collapsed public trust in the entire nuclear energy industry. On March 11, 2011, about 80 miles off the coast of Miyagi Prefecture in Japan, a massive earthquake shifted a 400 square mile piece of seabed 10 to 20 meters from its original location. Japan itself shifted about a meter to the east. This 9.0 magnitude earthquake created a powerful tsunami that wreaked horrendous damage on the Japanese coastline, inundating 350 square miles of the country and resulting in the deaths of some 19,000 people, to say nothing of the destruction of property and infrastructure. The tsunami also disabled the power supply and thereby the cooling systems of three of the six nuclear reactors at the Fukushima Daiichi power plant. The end result was a core meltdown in half of the six reactors at Fukushima Daiichi, which prompted a government-mandated evacuation of the surrounding area, displacing some 170,000 people. At the hands of nature’s fury, the reactors had gone from providing power and electricity for the surrounding area to endangering the population that once lived in its shadow. This capricious shift was not lost on Japan’s neighbor. Across the Yellow Sea and the Sea of Japan, the impact of the disaster at Fukushima was swift. On March 17th, Premier Wen Jiabao announced the suspension of the approval of new nuclear power projects and called for a comprehensive safety assessment of Chinese nuclear power facilities. Despite Chinese authorities accurately informing citizens that radiation levels in the country’s coastal provinces were normal, some Chinese consumers in Beijing and Shanghai remained panicked. Incorrectly thinking that iodine in iodized salt could help prevent radiation effects, some citizens took matters into their own hands and emptied local supermarkets and shops of their supplies of salt. During the safety investigation process, some of the core tenets of China’s nuclear policy, which had previously focused on speed and scale of expansion, were brought into question. Some argued for moving nuclear plants inland, similar to many nuclear facilities in France. Unfortunately, China’s geographic proneness to seismic activity and the fact that nuclear plants need a failsafe, endless source of water for cooling made inland relocation of nuclear power facilities a nonstarter. Given China’s massive energy requirements, Beijing ultimately decided to lift the moratorium on construction of new nuclear power plants in October of 2012. An article in China Daily perhaps laid out the strongest reasoning for China to continue investing in nuclear power despite fears generated by the Fukushima disaster: coal is cheap, but burdensome for transportation networks, while other renewables are expensive and insufficient to meet total demand, leaving nuclear power as a strong option or at very least an important part of a comprehensive energy portfolio. The former vice chairman of the National Development and Reform Commission (NDRC) Zhang Guobao said that “in the near future it is our priority to increase the proportion of nuclear and renewable energy in our energy mix.” China backed up this sentiment in its Energy Policy for 2012. This document from the State Council laid out how comprehensive safety investigations called for by Premier Wen had resulted in a clear answer, boldly declaring “nuclear security is guaranteed in China.” After about a year of hiatus, this new policy would “[implement] the principle of ‘safety first’ in the whole process of nuclear power station planning,” and return to the construction of new plants, though targeted mostly along the coastal regions. Chinese public opinion on the resumption of the nuclear energy portfolio’s expansion was somewhat mixed. Research from Shandong province showed in 2013 that although the Chinese public was generally well-read on the specifics of the Fukushima disaster, their overall understanding of nuclear power was somewhat lacking. A lack of general knowledge of nuclear power did not necessarily amount to tacit approval, though. Another study showed that Chinese consumers could perhaps be accused of NIMBYism, with survey data showing that residents would be willing to pay higher electricity prices to avoid having a nuclear plant in their neighborhood. Unfortunately for those survey respondents, China’s sizeable energy needs and its drives to improve environmental quality have taken precedence over popular anxieties. China’s newest addition to its paperwork outlining the future of its nuclear power sector is State Council Paper  Number 71. This paper lays out a number of goals. It seeks to establish an institutional mechanism for government guidance to participate in nuclear standardization within China in order to facilitate the ‘going out’ of Chinese nuclear energy projects. This standardization will include international cooperation and exchanges as well as aspirational domestic timelines: by 2019, there will be a standard Chinese nuclear system; by 2022, standards will be strengthened and international recognition will have increased significantly; and by 2027, China plans to play a leading role in global nuclear power standardization. What this means is that China is seeking to create systems that will not only make Chinese nuclear power generation more accepted and embraced at home, but will also create the infrastructure needed to export that same technology to international markets. This drive for internal standardization coupled with the aim to assume a leadership role in international nuclear power standards fits in with other policies of the Chinese government, including the Go Out Policy and Xi Jinping’s Belt and Road Initiative. If Chinese nuclear standards can become a global standard, as the State Council envisions, export of nuclear energy systems to BRI participant countries and other partners would be simplified. This, in turn, could help boost the fortunes of Chinese nuclear companies like the China State Nuclear Power Technology Corporation or the China National Nuclear Corporation. That day may come relatively soon. According to a report by the Carnegie Endowment for International Peace, “China is on course to lead the world in the deployment of nuclear power technology by 2030. Should it succeed, China will assume global leadership in nuclear technology development, industrial capacity, and nuclear energy governance.” Mycle Schneider, author of the World Nuclear Industry Status Report, concludes that “the Chinese have a very large workforce that they move from one project to another, so their skills are actually getting better, whereas European and North American companies haven’t completed reactors in decades.” If the goals of State Council Paper Number 71 come to pass, that trend may be continued or even accelerated as Chinese crews and planners continue to build nuclear power facilities, both at home and abroad as exported goods. 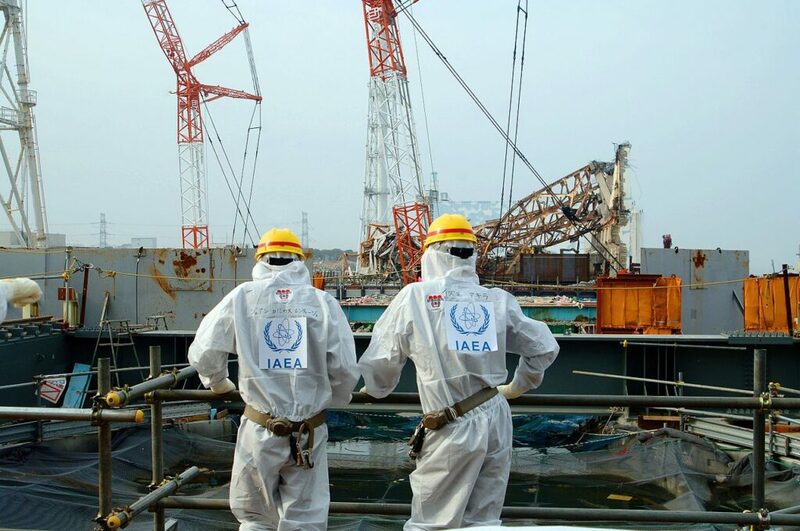 Although the Fukushima Daiichi disaster set off alarm bells for many Chinese citizens, the urge to hold back on nuclear power has ultimately been overcome by the massive energy requirements of China and policies that push to expand the sector. It’s possible that Western countries may see a resurgence of interest in nuclear power in the future, but at the moment, China looks poised to significantly expand its capabilities in the industry and its influence over nuclear power generation and policy on the global level.